Tapestry now has a PeriodicExecutor. A simple implementation of a scheduler but ofcourse not a replacement for Quartz (At least not for now). Being a simple implementation, it is very easy to use. Lets create a simple job which increments a counter. For this, we first create a simple Counter service. So all you have to do is get hold of the PeriodicExecutor service and register your job(which has to be Runnable). 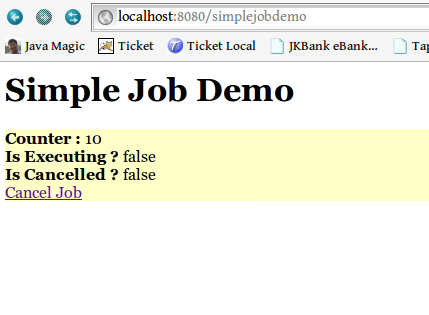 It returns you an instance of PeriodicJob which use can use to monitor or cancel the job. 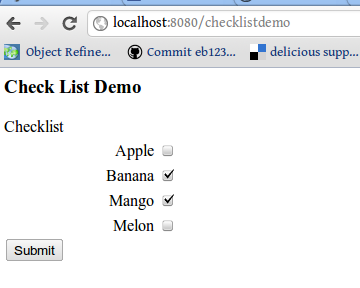 Checklist is similar to the Checkbox-group component found in many libraries/frameworks. It displays multiple values as checkboxes and allows you to select multiple values by checking the corresponding checkboxes. Now we are ready to use the checklist in a page. This is one of the most exciting features in Tapestry 5.3+. The best part is how easy it is to use. Usually the Tree component is the one discussed at the end of a GUI book under the topic “Advanced Components” but this one you can just put in the “Getting Started” section. So, let us create a file browser. We need to provide an TreeModelAdapter to tell the tree what to expect from a particular node. 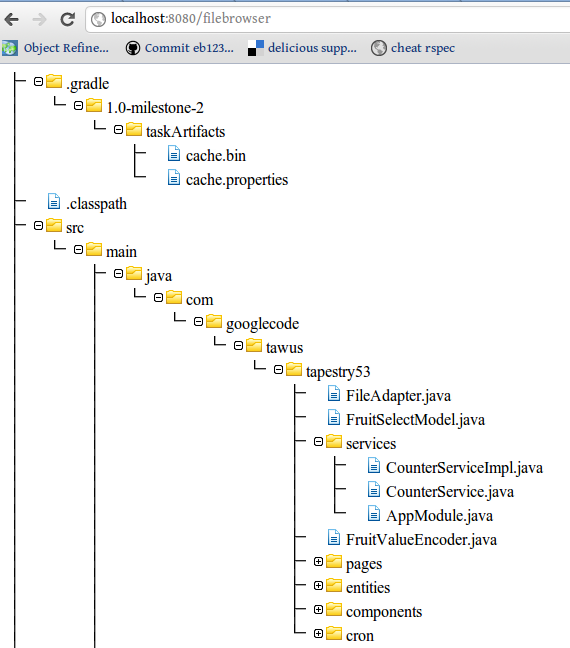 We are passing the TreeModel to the tree component. We use the DefaultTreeModel which requires the TreeModelAdapter and ValueEncoder along with the root elements. Yes, that is it!! Will come up with another post to show more features.